Home / interviews / Interview with Thrawn Thelemnar of Secrets of the Moon!! This interview was conducted via email in early December, 2009. In hindsight my questions weren’t very well written, but since I had spoken to the band for quite a long time in person after they had recently played a show at the Riot Room in Kansas City, I for some reason thought they would know what I was talking about with my questions. I feel like this interview could have been much better, so I see it as a good experience and a lesson in how to not write interview questions (especially for a band that’s not from the U.S. or probably read much in the way of American metal media). WULF: Clearly, “Privilegivm” thematically deals with topics such as the occult, anti-Christianity, Satanic philosophies, etc. I read in your recent interview in Terrorizer magazine that “every member in the band has his/her own life’s philosophy, mostly with a strong Satanic background”. What does the term “Satanic” mean to you? Would you describe your music as “Satanic”, or your Secrets of the Moon as a “Satanic” band? THRAWN: Secrets of the Moon is a dark and occult band, acting with a free will and totally independent. What we are, what we think and we do is private. I know you understand and respect that. WULF: To me, “Privilegivm” sounds quite experimental and adventurous, and is very original for a band many consider to be “black metal”. If this is the case, it’s like no black metal that I’ve heard before! Do you feel that Secrets of the Moon is a black metal band? THRAWN: Yes, totally. And I´m not just feeling it, I know it for 100%. We live, we breath and play Black Metal. And our, as you call it, “experiment” on this record was the freedom, the “adventure” to use our prilevege to do what we want, what we felt and feel. WULF: I would never have guessed that you all were from Germany. 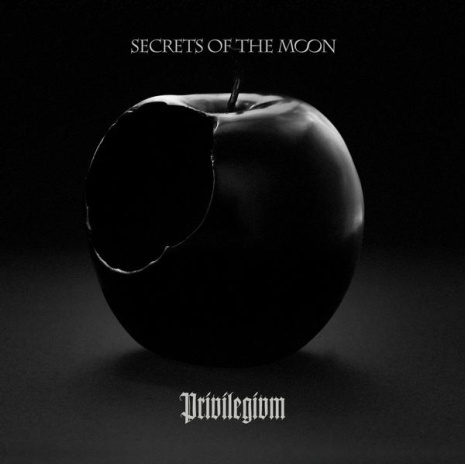 I unfortunately have not heard any other Secrets of the Moon material, but I would imagine that with the addition of LSK on bass for “Privilegivm”, her background in the French metal scene had some influence on the writing process for this album. Is this true? How did you get in touch with her? THRAWN: sG and me are the main songwriters. With LSK we shared our ideas but 90% of the material was written by us, so I don´t think that there was an intense influence. She pushed us a lot in studio, had great ideas and visions. But what does your question mean? That we have some french sounding BM parts in there? And that the music doesn´t sound german? Black Metal has no boundaries, we play what we feel and what we want, without sounding german, norwegian, brazilian or like a band from Afghanistan. It´s Secrets of the Moon. WULF: Like I said before, unfortunately I have not yet heard anything by Secrets of the Moon other than “Privilegivm” (although I will definitely be checking it out very soon!). How does “Privilegivm” compare with older Secrets of the Moon releases? Are there any specific bands or literature that you would like to mention as being the most influential for this new album? THRAWN: Not a directly or specific influence can be mentioned here, but of course there’s a lot of dark literature that guides us. But we don´t copy anything, as we are, as said before, independent. There´s one track on the album, called “I Maldoror”. This track is strongly and directly influenced by a novel of the french poet Lautréamont, but that´s it. We had this idea already back in 2002, cause “Les Chants de Maldoror” reflects all the evil in man. “Privilegivm” is another step for us, but on a new path, hopefully with less stones. WULF: The atmosphere on “Privilegivm” is quite dark, and while most of the album is heavy and aggressive, there are also moments that are less brutal, but no less bleak. One of the best examples of this is the closing track, “Shepherd”, which is easily one of my favorite songs on the album. I feel that this is an excellent ending to the album, but was wondering why did you decide to close out the album with this particular song? Based on the lyrics, I get the feeling that “Privilegivm” is somewhat of a concept album. Is this true? THRAWN: No, wrong. There is no concept on this album. But if you find one, it’s ok. On this album there are so many things to find, so why not a concept? For us “Shepherd” is also a perfect ending for this trip, it´s like a free fall, it´s salvation, darkness or daylight. Whatever you see, whatever you feel while listening to it. “Shepherd” could also stand in the beginning, but as the last track the are so many open questions… What´s next? That’s it? Why? And so on….. Of course there also less aggressive parts, you need some time to relax on this dark journey, some light in the dark, before it´s getting deeper and you drown again. WULF: I understand that there were some rough spots for the band while touring the US due to illness (Kansas City being one of these places). How did the rest of the US tour go? What would you say was your best show in the US? Any plans for returning in the future? THRAWN: It was ok and a good experience for us. We learned a lot and will be prepared for the next US tour. A lot of things are different in your country and that’s not only ment to be positive. As europeans we are used to some things you don´t even think about. All in all this tour was a success for us, cause we played always good shows (even with being sick), had a good time with Divine Heresy and Moonspell, with whom we shared the nightliner. The busdriver Ringo was awesome, as you would say. Also our tourmanager Cartel and Phil, the backliner. Nice people we never met before, good guys to travel with. My favourite shows were in Vancouver, Los Angeles and Fort Worth, but maybe I´m wrong as I don´t even remember that we played Kansas City. 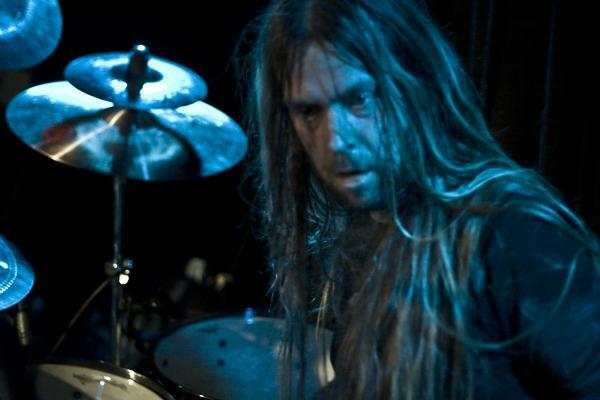 WULF: According to your page on metal-archives.com, you all have been in a number of different bands over the years. Are all of you now exclusively in Secrets of the Moon only, or are different members currently involved in other bands/projects as well? THRAWN: LSK is also involved in Hell Militia and Vorkreist, our guitarist Ar has his own band Odem Arcarum and I also play in some other bands. WULF: Lastly, is there anything you would like to say to all of your fans in the US and elsewhere? THRAWN: Thanx for your support at the venues, during our shows, for the nice comments and talks. It was a pleasure to meet you all. and hopefully we will being see you again here in the US in the near future! Cheers, and congratulations on releasing such an awesome album! I wish you all the best! THRAWN: Thank you very much, you are a good guy. All the best to you!